The Newest Rant: The Ideological Dangers of Using a State of Emergency to Push Policies...and, "Star Wars." The Ideological Dangers of Using a State of Emergency to Push Policies...and, "Star Wars." Call me crazy if you must, but regardless of if our President is a Democrat, Republican, or whatever Donald Trump is (failed businessman with illusions of competency, perhaps) it makes me awfully nervous when the Executive Branch thinks it can override the Legislative Branch in order to push policies. 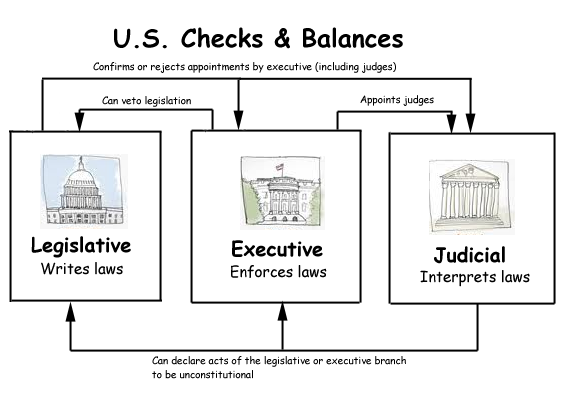 You see, the whole point of our Government is to have checks and balances within its branches--Legislative, Executive, Judicial--so that no one entity gets too many ideas about having/seizing power, thereby plunging our nation into some kind of dictatorship/military coup/general chaotic mess. While our country's founding Fathers all were without a doubt very flawed men with their own number of problematic aspects, they were also for sure a group of genius people in their creation of this system of checks and balances as well as various documents that help it hold together--e.g. the Constitution. I mean, our country has managed to last and function for 200+ years thanks to these guys and their careful planning, so big ups to Benjamin Franklin, Thomas Jefferson, and all the other dudes. After all, one big aspect is that if the President wants something to occur, he/she has to get approval from Congress to implement this new policy in the form of a law. 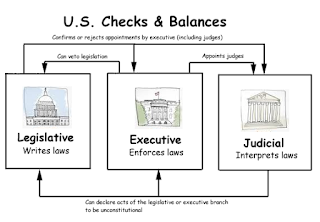 A President has some degree of individual power (Executive Actions as well as the ability to Veto policies the President disagrees with as long as 2/3 of Congress doesn't override the Veto) but that is limited and our President is supposed to make sure the day-to-day running of our Nation and its rules goes along smoothly. Should the President want a policy change and a majority of Congress says, "No," well then the President has to respect that they have had their power, "Checked," in order to uphold the, "Balance," of our Nation. This is stuff I learned years ago in school and really got a solid grasp on thanks to a very well-constructed history class in 8th grade (thanks, Mr. Hughes!) 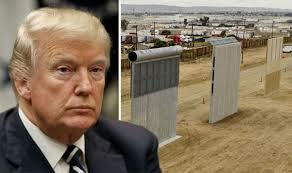 so it astounds me our President--a man in his 70's who should know this stuff at his age--seems to want to completely disregard all this...to build a symbolic wall. Yes, this all goes back to Donald Trump and that wall on the border with Mexico that, "They," were supposedly going to pay for, but now he's demanding a bunch of money to build. Congress has said, "No," and for that reason Trump has used his power of Veto on any budget that has come his way lacking funding for his demands. There are not enough members of Congress to override the Veto (too many Republicans either support Trump's so-called plan or are too scared to speak-out) and our Government has shut down to a certain degree. Now Donald Trump thinks he can declare a State of Emergency (one of those temporary Executive powers) in order to get his wall built (a permanent policy action), that that is bonkers. I don't know about everyone else, but it makes me nervous to think a politician can just declare there is an emergency so he can give himself more power than he's normally allowed so as to do things that essentially ignore our nation's centuries-old system of those valuable checks and balances. It is a slippery slope and of all things reminds me of the prequel, "Star Wars," movies. Yes, seriously, bear with me here. Let me take you back in time to the late 1990's and earlier-2000's. George Lucas still owned the rights to, "Star Wars," and was making a trilogy that served as a prequel to the original movies. People didn't care for the films that much however as a lot of the running-time was spent breaking-down political stuff in this galaxy a long time ago, far, far away. The flicks essentially were laying the groundwork for the Empire of the initial trilogy by displaying how an evil politician named Palpatine destroyed the Senate that was supposed to keep him in check. He did this through manufactured emergencies and taking advantage of temporary powers to eventually make his control all-encompassing and quite permanent. A lot of people thought this plot element was silly, implausible, and scoffed at the idea that enough of a nation's/galaxy's leaders would willingly give a despot enough power for him to wipe-out the rest of the people who still questioned him. Well, perhaps we all owe George Lucas a bit of an apology because look at what Donald Trump is trying to do now and observe how many people are blindly following him because they are willing to put their agenda before doing the right/ethical/legal thing. I'm not saying Trump is Emperor Palpatine. Palpatine was actually a shrewd political mastermind (albeit a very evil one) who carefully put all his metaphorical pieces in place to successfully take-over whereas Donald Trump is a moron who got elected through a mixture of dumb luck, appealing to people's worst instincts, and colluding with foreign powers. That said, Donald Trump is indeed trying to make-up emergencies in the hopes it will give him powers he should not have to do things he ought to be unable to do. Allowing any President of America this kind of power is a dangerous road to go down and regardless of how conservative, liberal, or apolitical we are anyone should be able to realize that once you go defying the very bedrock of the concepts our Country was founded on, you don't really have much of a country left.